The Loire is the longest river in France, meandering westward more than 620 miles while draining a fifth of the nation’s land before it reaches the Atlantic Ocean. 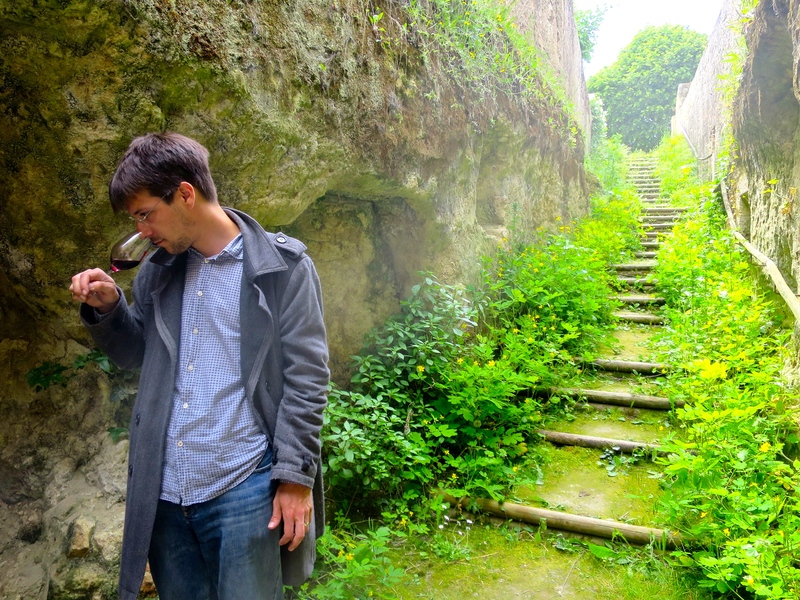 I recently spent two days visiting selected vineyards in the Loire Valley with Julien Pouplet (Julien is known for rolling his eyes while being interviewed for the Russell Crowe narrated documentary – Red Obsession, about Bordeaux wines). Highlights of this trip included tasting stunning yet affordable biodynamic wines, and learning the hard way how regional wine producers are often more focused on the quality of their product than on the details of business. 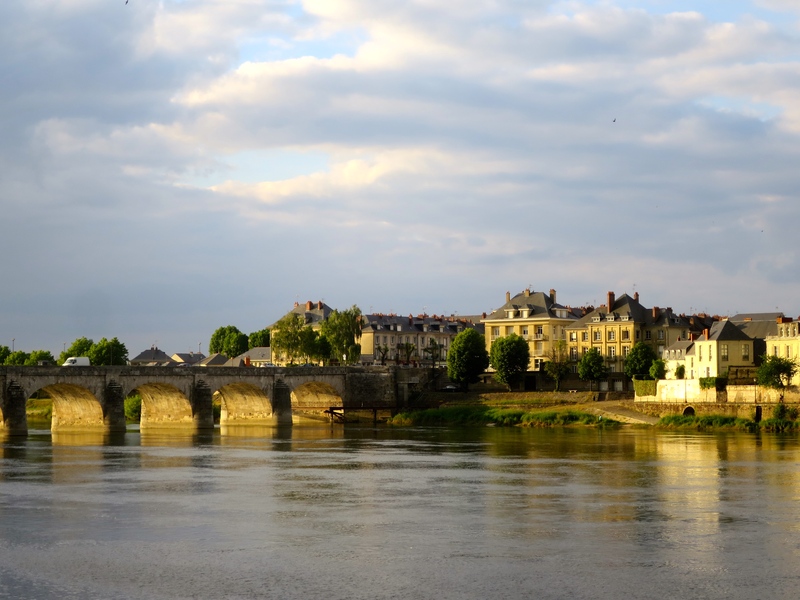 We stayed inland near the cities of Saumur, Chinon, and Tours, tasting wines from the Saumur and Touraine sub-regions of the Loire Valley, avoiding the coastal dominance of white Muscadet wine. The primary inland white grape here is Chenin Blanc, while the dominant red is Cabernet Franc. Well crafted wines here are often low in alcohol (11 to 13.5 percent) with subtleties in tastes and aromas that are unusually inspiring. Subsoils of the Touraine include chalk limestones with flinty soils. And within the Touraine, Chinon wines – including magical bottles from such wine makers as Philippe Alliet – grow on soils produced by tuffeau. This regional chalky limestone started forming 100 million years ago (when the region lay deep under churning seas) from the dead cells of Bryozoa, minute organisms grouped in floating colonies. While driving throughout the region you can see cliffs of tuffeau – some hollowed and transformed to dwellings (with neat window panes and doors facing the outside world), while others are cool, constant temperature, subterranean storehouses for wine. The pace of the Loire Valley is slow, matching the almost indiscernible movement of the wide river that defines the land. Many wines here are meticulously hand-crafted by artisan farmers with sensibilities toward detail, patience, and attention to local terroir that are reminiscent of small producers in Burgundy, located further east. Marked individuality among different vineyards is not unusual. The biodynamic Clos Cristal has three kilometers of walls with circular holes punched through them, each running parallel to vines. These were constructed in the early 1900’s. Vines growing north of these walls are trained to pass horizontally through separate holes, emerging to face south. There, fruit is exposed not only to direct sunlight, but to the warmth re-radiated from the walls. This concentrates heat, providing greater ripeness to the fruit. Making appointments with Loire Valley vignerons is not always easy, but after meeting and sampling wines (sometimes for more than an hour), we often found many vignerons reluctant to sell their sparse and treasured bottles. Many had already been promised to known buyers. At Domaine Philippe Alliet, for example, we managed (with no small amount of bargaining acumen on Julien’s part) to buy six bottles of 2013 Chenin Blanc from the mere three barrels produced that year. Personal contacts cultivated over time, of course, is key to obtaining these wines. However, not all wine makers are difficult to reach, and many keep regular hours (Clos Cristal, for example, is open Thursday, Friday, and Saturday from 2.00 to 6.00 pm). As for accommodation? 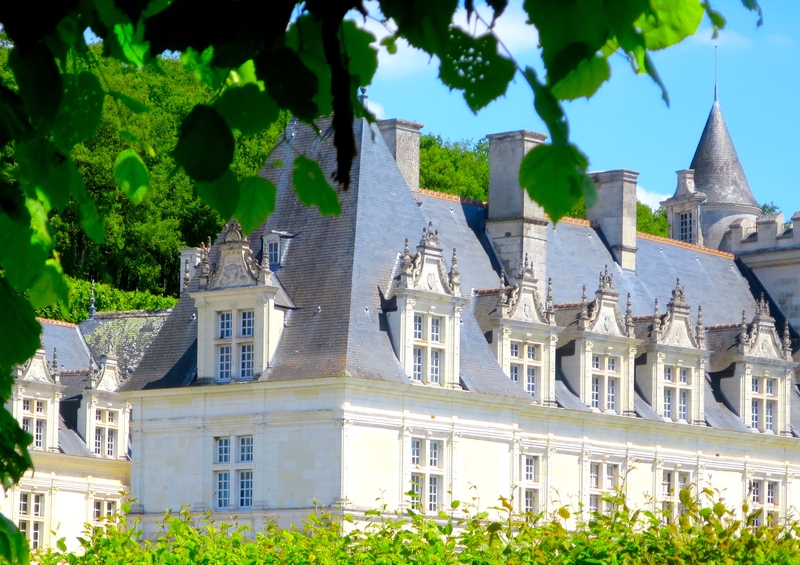 Rather than staying in any stately chateau, we found an AirBNB home in the town of Saumur. 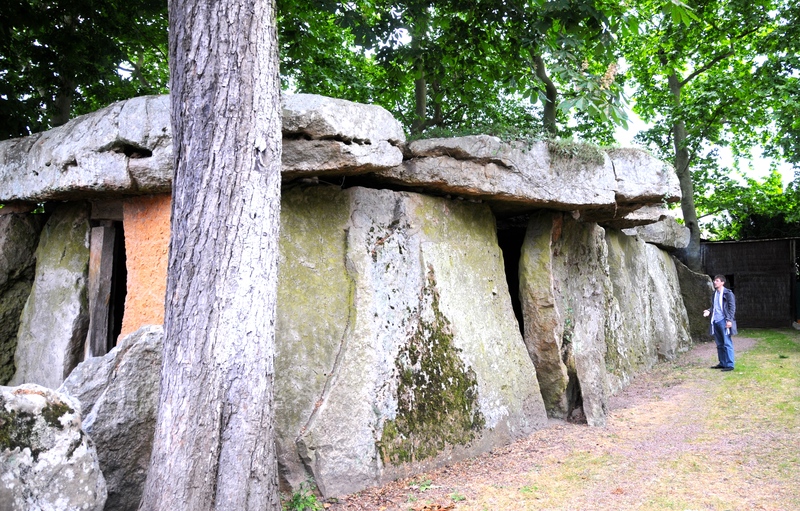 The back garden included a historical monument – the largest dolmen (dolmen de bagneux) in France. Constructed 5000 years ago with capstones weighing 109 tons, this was an impressive feat of pre-literate engineering. Back in those days, the locals apparently used mushrooms (evident from images thrown as shadows on dolmen walls) rather than wine, to changed their mindset. The value of these Loire valley wines? In this regard there were two unexpected surprises. The first is that there is a relatively high overall value for some sparkling and biodynamic wines produced in the region. The second is that adventurous vignerons utilizing red grapes not usually used in the region may be better off concentrating on the locally favored Cabernet Franc. That’s one heck of a dolmen to have in your back yard! 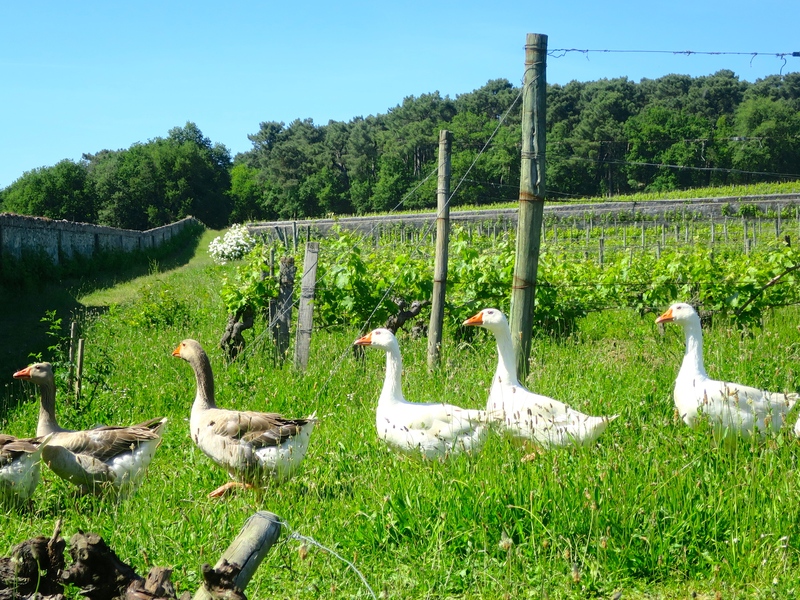 Thank you for this nice article.I am so glad you enjoy the visit in le Clos Cristal.